I would be met and meet you so, In a green airy space, not locked in. Denise Levertov, About Marriage been hotly debated (Thomas, 1984) because Baragwanathia represents a relatively complex vascular plant at a point in geologic time when all other vascular plants were comparatively simple. This suggests that either vascular plants evolved far earlier or that tracheids perhaps evolved more than once during the terrestrialization of the earth. As we learn more about early land plants, including those with well-defined conducting tissues, it is becoming clear that a number of these early plants did not possess vascular tissue like that in extant vascular plants. Although identifying plants with vascular tissue early in the geologic record is important, what is perhaps equally significant is understanding the nature of these cells. 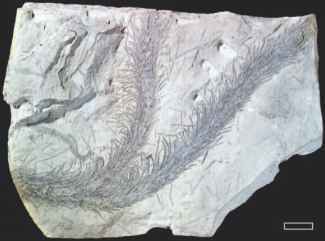 figure 8.1 Baragwanathia longifolia (Silurian). Bar = 2 cm.